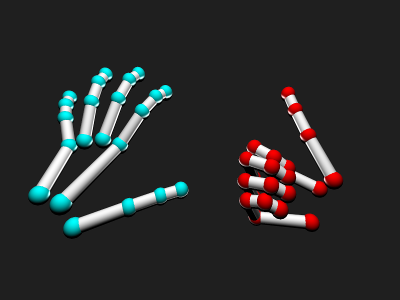 Integration of the LeapMotion SDK into Magnum. Note that there is also a Oculus SDK example. Combined with this, you can have your hands in virtual reality! This example requires you to have the Orion beta or Leap Motion V2 Desktop SDK installed. In addition, you will need a Leap Motion Controller. This example was originally contributed by Jonathan Hale. This example makes use of the Leap Motion SDK, see https://leapmotion.com/ for license information. Full source code is linked below and also available in the magnum-examples GitHub repository. Note that the CMake code uses FindLeap.cmake, which you can find in the modules/ directory.